Martial Arts Near Me is a search people will generally be doing if they aren't sure what style they would like to learn. There are many misconceptions about what does or does not qualify as a martial art - but let us assure you Kung Fu is as legitimate as they come! If you are doing a general search for martial arts in Calgary and would simply like to get active then Kung Fu is going to be a great choice! Along with becoming more physically fit as time goes on; you'll be teaching your body how to control every large and small motion with extreme accuracy and refining your mental focus. Many people come to Kung Fu as a martial art just so they can get that mental edge that comes along with our meditation or breathing practices. Being able to call upon this focus and calm on a whim is what helps put some high-level business people ahead of the competition because they can always stay calm and make the best decisions without being overwhelmed or suffering overly large consequences of being in a constant state of stress. Kung Fu is also an incredible way to meet an entirely new community of people within Calgary during class. The atmosphere in our studio is definitely one of community and genuinely wanting the best for everyone. If you need a break from your everyday grind and want to pick up one of the most ancient and all-encompassing martial arts there has ever been then come experience our introduction package today! 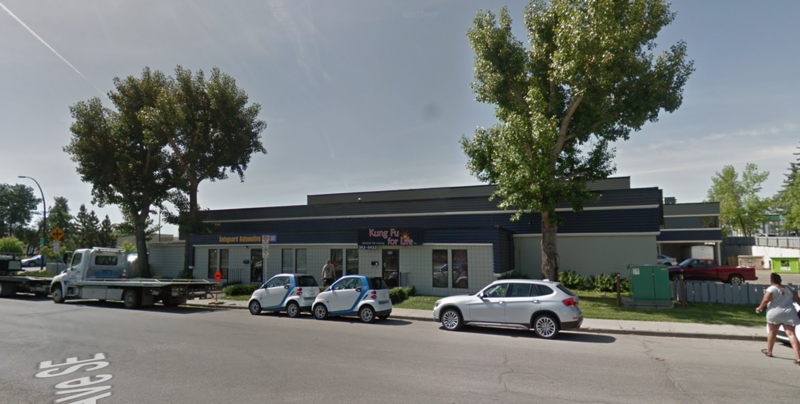 We are located just off of the 39th Avenue C-Train Station so it is simple to get to us!